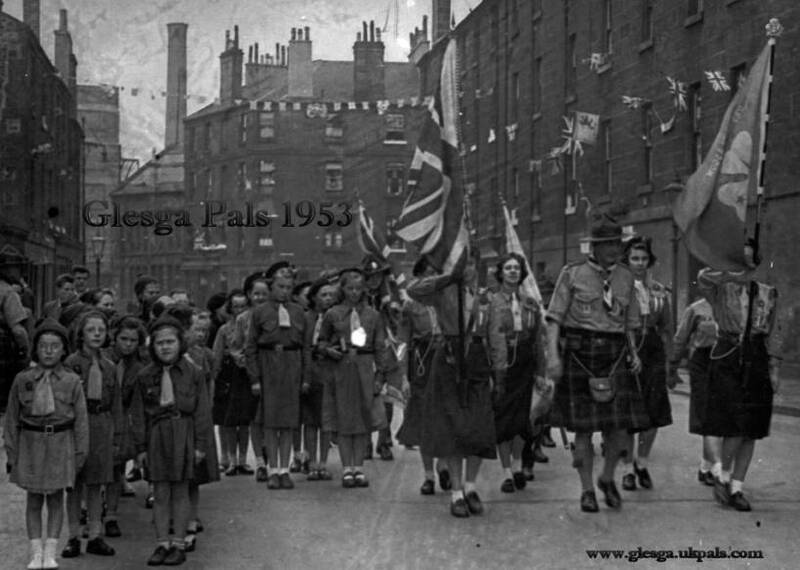 Queens Coronation 1953 parade in Queen Mary Street, Bridgeton by the local Scouts, Girl Guides and Brownies. The parade would be assembling to march past St Francis-in-the-east Church. Queen Mary Street primary school is to the left of the photograph. Notice also the old gas street lights. The junction seen in the rear is London Road at Fordneuk Street with Templeton's carpet factory in the background.